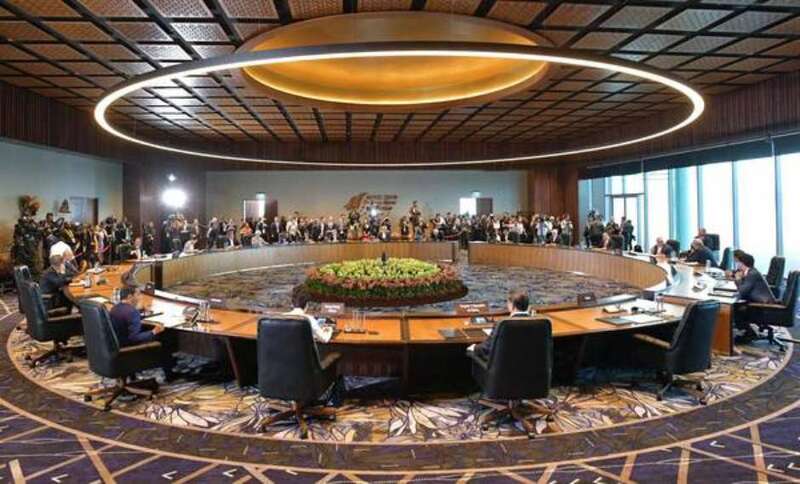 The tense Asian Economic Cooperation (APEC) summit failed to reach a joint statement on Sunday at the end of the meeting in Papua New Guinea over the "trade war" between the United States and China. This is the first time the leaders of the 21 countries have closed the forum without a joint statement. Papua New Guinea's Prime Minister Peter O'Neill said that "the two big giants in the room" could not agree on the rules of international trade. According to spokesman of the Chinese Foreign Ministry, Zhang Xialong, the statement of the APEC summit president will be released later. "The leaders have decided that, instead of the traditional leaders' statement, Papua New Guinea, the president of the meeting, publish a presidential statement on behalf of all members," he said. During the meeting, Chinese President Xi Jinping criticized US policy saying that countries that adopted protectionism were "doomed." Vice President Mike Pence said he was prepared to "more than double" tariffs on Chinese products. He also criticized China's infrastructure program, warning minor countries that Chinese development loans have led to "disconcerting debt."